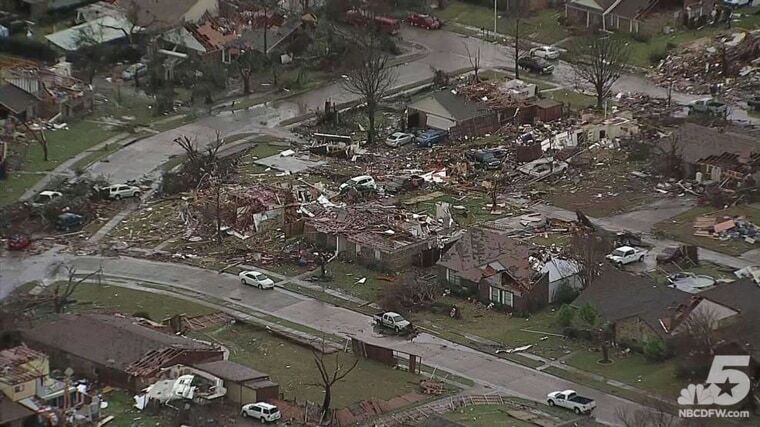 Massive storms and tornadoes hit Texas over the weekend, destroying houses and causing at least 11 deaths. A man removes personal items from his apartment as cleanup begins after a string of tornadoes ripped through Garland, Tex. on Dec. 28. 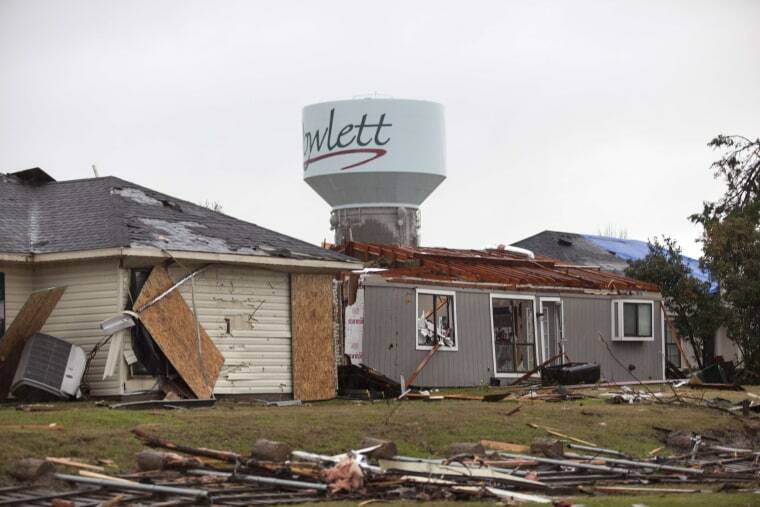 EF 3 and EF 4 tornadoes ripped through Garland and Rowlett over the weekend. 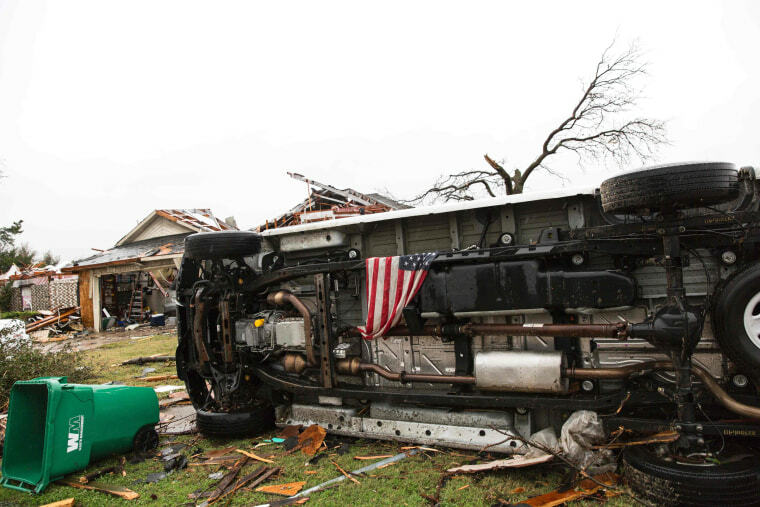 An American flag was placed at the bottom of a car in the aftermath of a tornado in Rowlett, Tex. on Dec. 27. 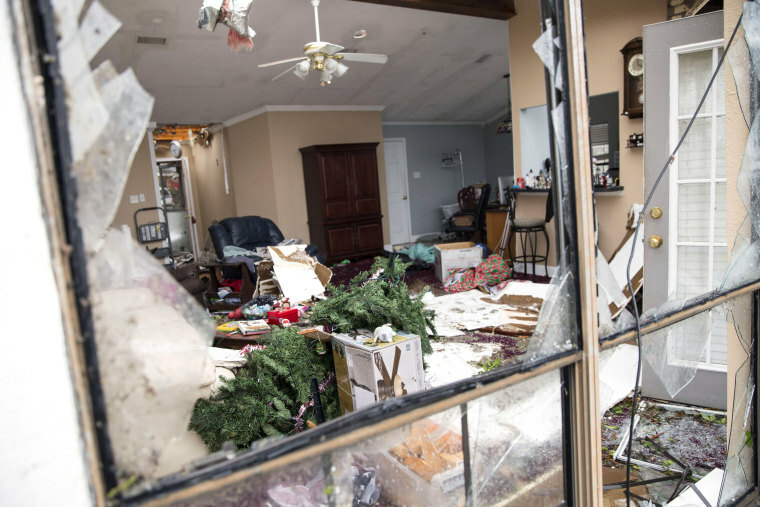 The rare December twisters that flattened houses and caused chaos on highways raised the death toll from days of deadly weather across the South to at least 28. 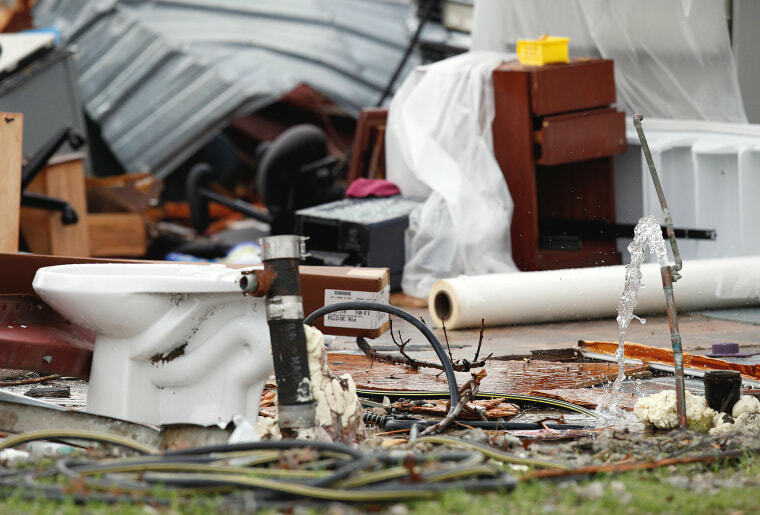 A water pipe continues to flow among the debris at GT Storage in Garland on Dec. 28. 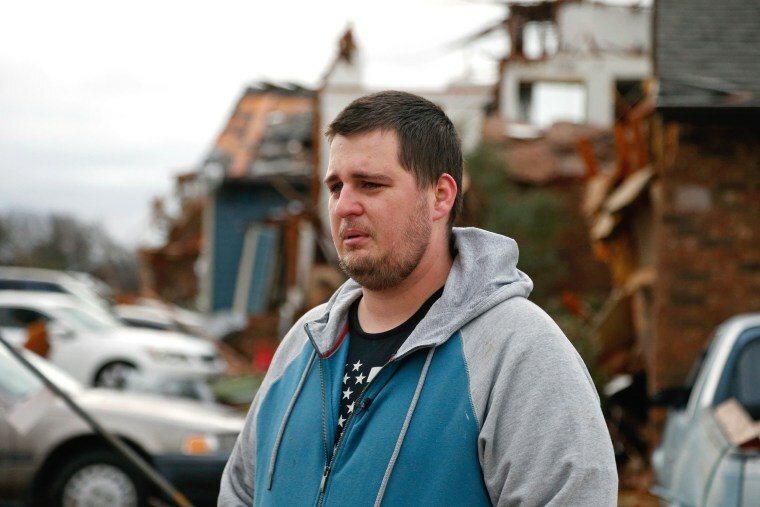 Josh White, a resident at Landmark at Lake Village North Apartments, gets emotional while recounting how he lived through the severe weather events in Garland on Dec. 28. At least 8 people were confirmed dead in Garland. 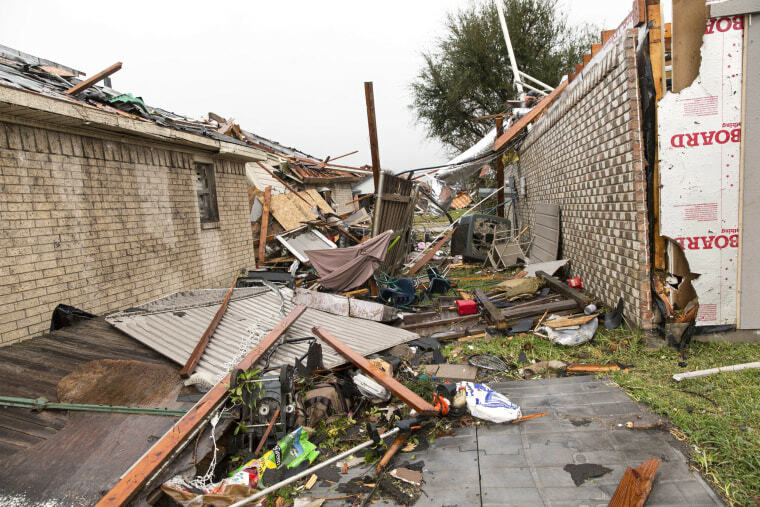 Roofs fall off the top after tornadoes hit in Rowlett, Dec. 27. 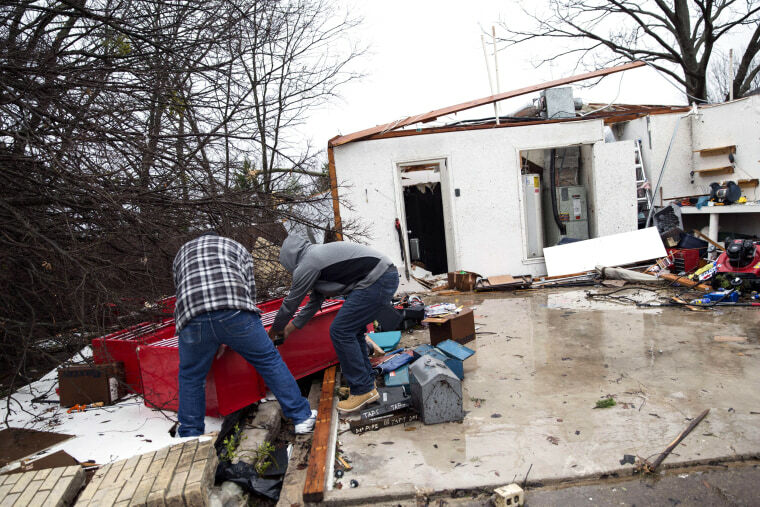 Two men sift through items after the weather had calmed down in Rowlett on Dec. 27. A city water tower stands behind destroyed houses on Dec. 27 in Rowlett. 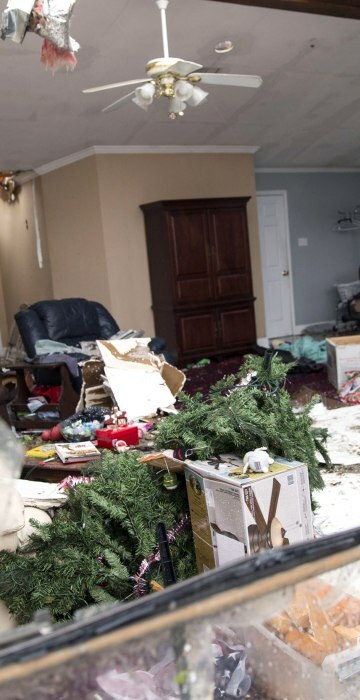 A house is in wreckage now after Christmas on Dec. 27 in Rowlett. 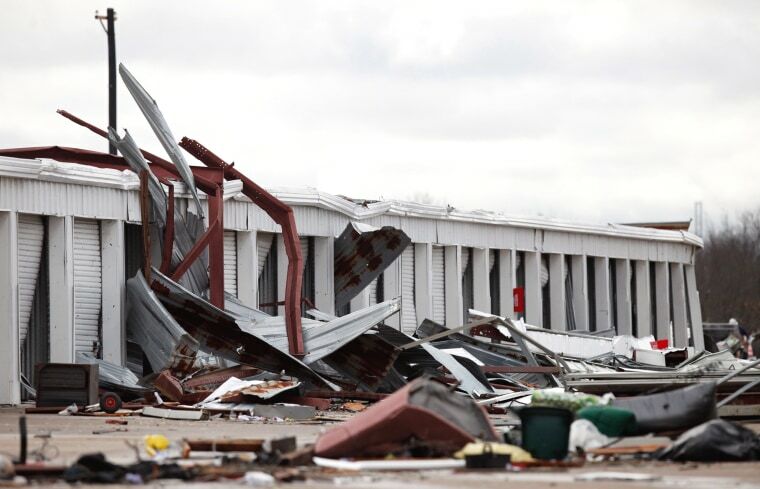 Objects and debris blow into GT Storage building in Garland on Dec. 28. 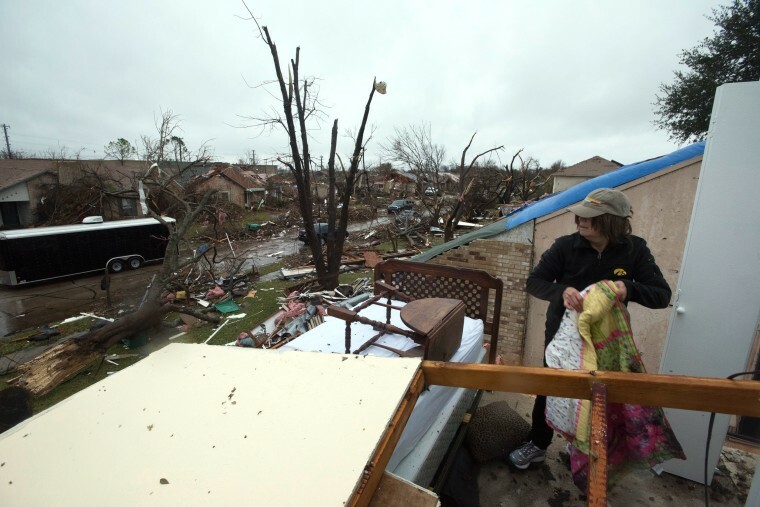 Houses are damaged after tornadoes hit Rowlett, Sunday, Dec. 27. 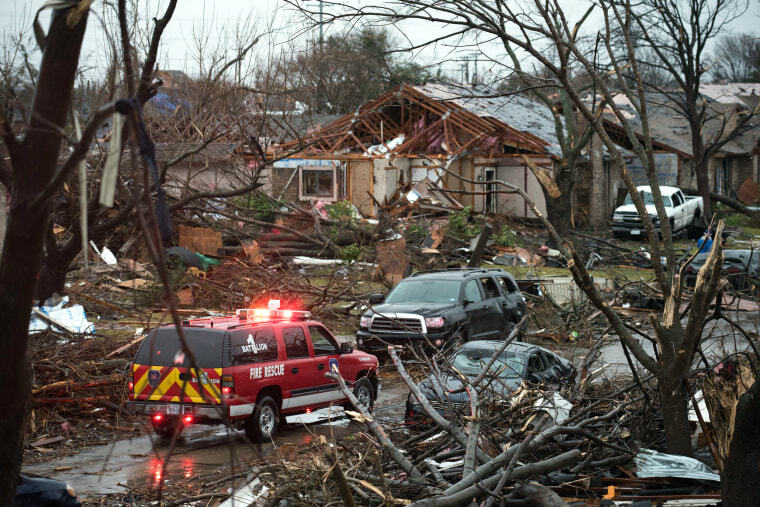 An emergency vehicle drives through a neighborhood in Rowlett in the morning of Dec. 27, after it was struck by a tornado. 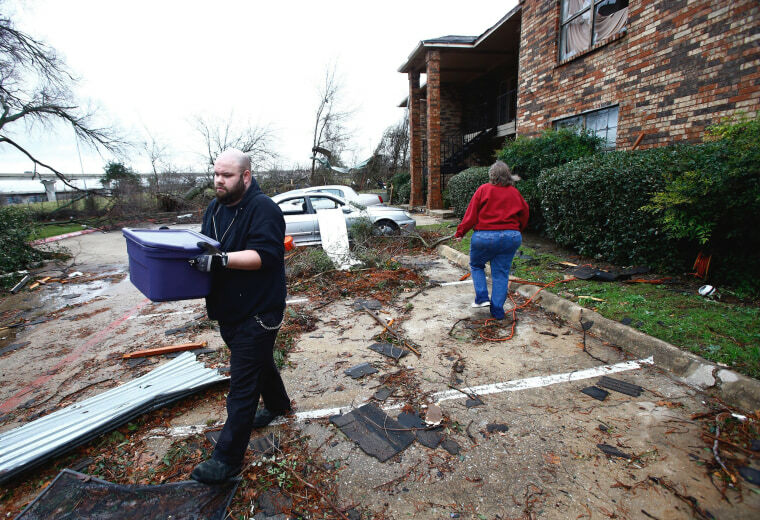 Delores Downard salvages items from her son's house in Rowlett on Dec. 27.